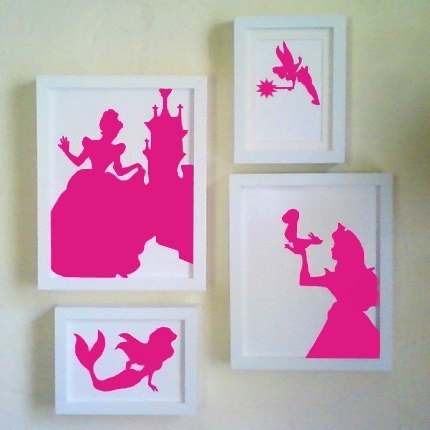 Even Sweeter Dreams: DIY: Make your own silhouette art. Hi everyone! I always love making my own art, it gives a more personal feel to any wall right?! So when I came across this fun and easy tutorial I just had to share it with you! It is a quick way to make your own silhouette art. Fun for any kids bedroom wall, if you use bright colours. Or scan some pictures of your family and hang those on your livingroom wall. Lots of possibilities, so enjoy and have fun with it!